Led by 2018 Player of the Year Tua Tagovailoa, top-ranked Alabama has six players on the Walter Camp Football Foundation All-America Teams, the 129th honored by the organization. The nation’s oldest All-America squad was announced on The Home Depot ESPN College Football Awards Show. In all, 29 different schools from 10 conferences (including independents) were represented on the All-America First and Second Teams (a total of 50 players selected). Alabama has four First Team honorees, and two on the Second Team. LSU has four All-Americans (3 First Team, 1 Second Team), while three Clemson players were named to the First Team. Overall, the Southeastern Conference had the most honorees (15), followed by the Atlantic Coast Conference (9) and Big Ten (8). Leading the First Team offensive unit is Tagovailoa, a sophomore quarterback who was also selected the 2018 Walter Camp Player of the Year. 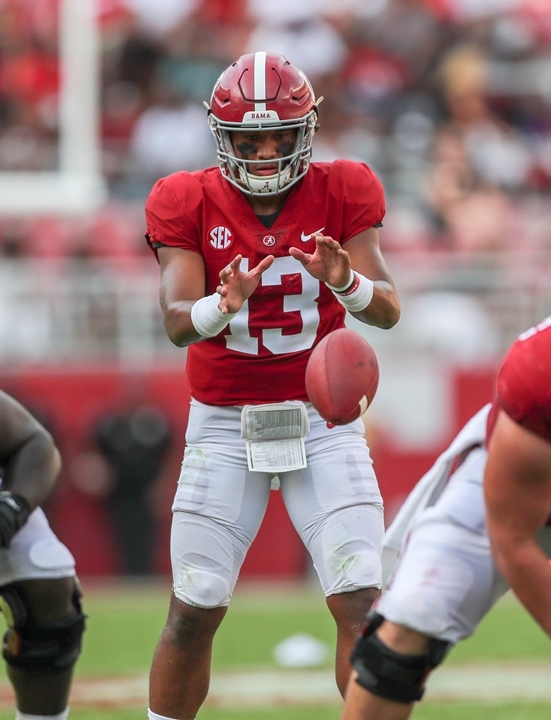 Second in the nation in passing efficiency (202.3), Tagovailoa has passed for 37 touchdowns and 3,353 yards to lead a high-scoring Crimson Tide offensive unit, one that averages 47.9 points per game. Joining Tagovailoa in the backfield are the junior Darrell Henderson (Memphis) and sophomore Jonathan Taylor (Wisconsin). Henderson has rushed for 1,909 yards and 22 touchdowns, while Taylor has rushed for a nation’s leading 1,989 yards and has scored 15 touchdowns. Senior Andy Isabella (Massachusetts) and sophomore Jerry Jeudy (Alabama) are the wide receivers. Isabella, who leads the nation with 141.5 receiving yards per game, has 102 catches for 1,698 yards and 13 touchdowns, while Jeudy has 59 catches for 1,103 yards and 12 touchdowns. The tight end is Jace Sternberger (Texas A&M). Sternberger has 47 receptions for 804 yards and 10 touchdowns for the Aggies this season. On the offensive line, junior Jonah Williams (Alabama) is joined by a trio of seniors – Ben Powers (Oklahoma), Beau Benzschawel (Wisconsin) and Mitch Hyatt (Clemson). Hyatt was a Second Team All-America honoree last season. Senior Garrett Bradbury (North Carolina State) is the offensive center. Placekicker Andre Szmyt (Syracuse) earns First Team honors after converting 28-of-32 field goals and all 57 of his point-after-kicks this season for the Orange. 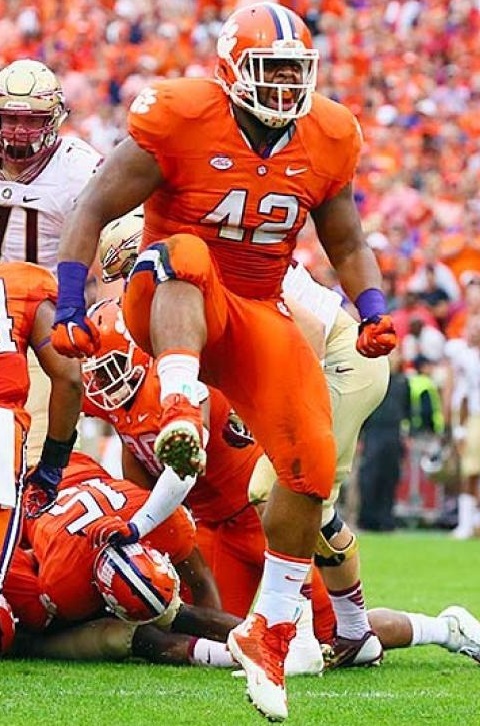 Leading the defensive unit is senior Christian Wilkins (Clemson), who was a Second Team All-American last season. Wilkins has 45 tackles and five quarterback sacks from his defensive tackle position. 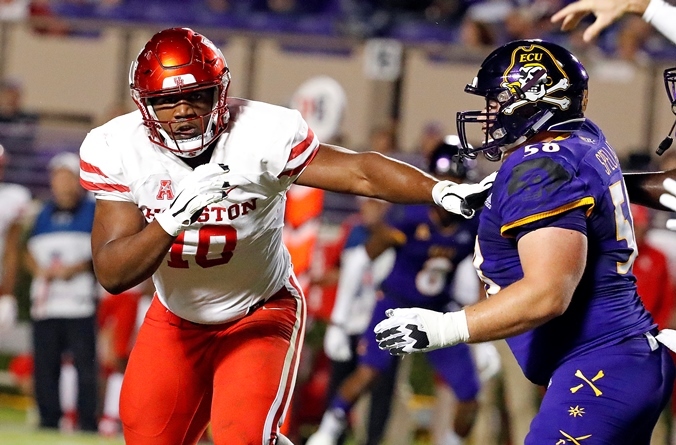 Wilkins is joined in the defensive interior by his Clemson teammate Clelin Ferrell, a junior defensive end, sophomore Quinnen Williams (Alabama) and junior Ed Oliver (Houston). Oliver is a repeat First Team All-America honoree. Senior Josh Allen (Kentucky), who has 84 tackles and 14 quarterback sacks for the Wildcats, leads the linebacker corps. Allen is joined by juniors Devin White (LSU) and Devin Bush (Michigan). Bush was a Second Team All-American in 2017. In the defensive secondary, senior DeAndre Baker (Georgia) is joined by junior Julian Love (Notre Dame) and sophomore teammates from LSU, Greedy Williams and Grant Delpitt. The punter is junior Braden Mann (Texas A&M), who averages a nation’s leading 51.1 yards-per-punt. The kick returner is sophomore Savon Scarver (Utah State), who averages 34.1 yards per kickoff returns and has returned two for touchdowns. Leading the Second Team is junior quarterback Kyler Murray (Oklahoma). Murray has passed for 4,053 yards and 40 touchdowns for the fourth-ranked Sooners. Wide receiver David Sills (West Virginia) is a repeat Second Team honoree. Sills has caught 61 passes for 896 yards and 15 touchdowns for the Mountaineers. Junior defensive end Sutton Smith (Northern Illinois) is honored again after earning First Team accolades a year ago. Punter Mitch Wishnowsky (Utah) is a Walter Camp All-American for the third straight year. Wishnowsky earned Second Team honors a year ago and was a First Team selection in 2016. Members of the 2018 Walter Camp All-America team and other major award winners (Distinguished American-Archie Manning, Man of the Year-Mike Golic, and Perseverance Award-Jake Olson of USC), will be honored at the organization’s national awards banquet, presented by David McDermott Lexus of New Haven, on Saturday, January 12, 2019 at the Yale University’s Lanman Center.